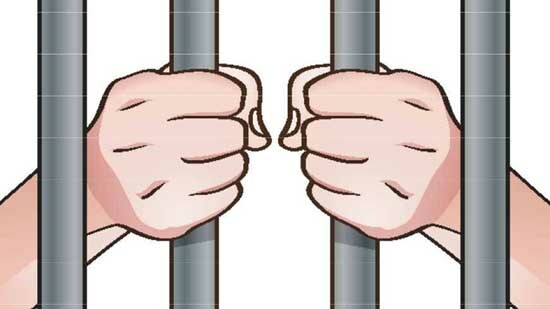 A Darjeeling court today convicted four members of a family from Dootriah-Balasun tea garden for murder and sentenced them to life imprisonment with hefty fines. Additional Sessions Judge (court 3) Mihir Kumar Mondal found Bijay Shankar (53) guilty of murdering Dambar Subba (36) in 2004. The convict’s brother Prakash (44), father Kaila (79) and mother Chandra Maya (75), who were present during the incident, were convicted of abetting the murder. According to Public Prosecutor Pranay Rai, the murder was political in nature as the victim was a Gorkha National Liberation Front supporter, while the four convicts were CPM supporters, all from Dootriah-Balasun tea garden, 16km from Darjeeling. “The murder was a political fallout as the victim and the accused had political differences and often got into altercations,” said the PP after the verdict was read out by the judge. Along with life imprisonment, the convicts have been asked to pay Rs 50,000 each as penalty, failing which their sentence would be extended by an additional three years. The PP said the murder had taken place in the evening of November 14, 2004. “On that day, the victim was returning from a Deusi (Nepali festivity during Diwali) programme. As Subba crossed the Shankar family house, Bijay’s father and mother incited him to attack the victim. Bijay asked his brother to get a chopper and he used it to hack the victim to death, with his parents egging him on all the while,” said Rai. Darjeeling court today convicted four members of a family from Dootriah-Balasun tea garden for murder and sentenced them to life imprisonment with hefty fines. Additional Sessions Judge (court 3) Mihir Kumar Mondal found Bijay Shankar (53) guilty of murdering Dambar Subba (36) in 2004.